The Austrian real estate company records a rental income of € 72.4 m (+13%). EBIT fell by 17%, net income rose by 70%. Tomorrow, the Austrian real estate company presents its results for the first quarter of 2012. Analysts predict a rise in revenues and earnings. Net rental income of the Vienna-listed real estate group was up by 17.4%. EBITDA rose by 48.6% to € 38.0m. The Austrian real estate group continues its “portfolio optimization program”. The publicly owned Austrian Federal Real Estate Company (BIG) raised its revenues by 3.3% to € 818.9m. The Austrian industrialist intends to raise his stake in the real estate company further. The Austrian real estate company has a new tenant in office building in Munich's Arnulfpark. The Austrian Group announces the acquisition of the remaining 50% stake in the Panta Rhei, a planned office development project in Düsseldorf, from the co-owner Frankonia Group. Consolidated net income at the Austrian real estate company was up from € 2.1m to € 21.2m. 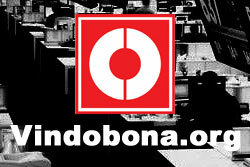 EBITDA was up by 42.0%. The Austrian real estate company recorded losses of 12m in 2011. The year before, ECO Business still showed profits. The Austrian real estate enterprise reported figures today. Sales rose by 11%. Arkade Meidling looks back at a successful 2011, in which both sales and frequency were increased. Now, the Austrian real estate company won the City of Vienna as new tenant. Revenues at the Austrian real estate company increase by 55.9 % to € 852.9m. Net income almost doubled. The Austrian real estate Group continued the positive trend recorded in recent quarters during the third quarter of the 2011/12 financial year. Profits were up by 17.5%. According to market expectations, the Austrian real estate company may achieve a 30% increase in EBITDA. The Austrian real estate company announces an EBIT increase of 52.4%. Consolidated net income for year rose from € 2.1m to € 21.3m. The boom of Austrian property prices does not end. Prices for one-family houses were up by 6.4% on average. The Vienna-listed, Jersey-based real estate company reviews a secondary listing at Warsaw Stock Exchange. The Vienna-listed Atrium European Real Estate Limited could improve rental income as well as profits substantially. Operating profits were up by 46.5%. In the near future, the Austrian real estate market threatens to show a drastic lack in low-cost apartments. Financing of real estate becomes more expensive. 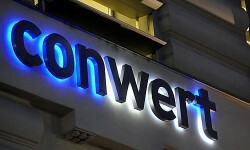 The Austrian real estate company reported figures for 2011 today. The first-time consolidation of Europolis and successful sales lead to an increase in earnings. Profits were up by 38%. The Austrian real estate company was included into the ATX top five. 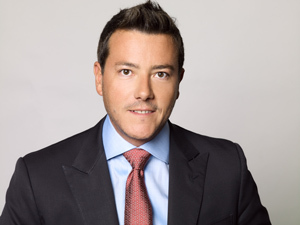 CEO Eduard Zehetner: 'This should have a positive effect on the share development'. The Eastern European factory outlet center market still has growth potential. Up to 100 new outlet centers are possible. Space leased of Frankfurt´s tower 185 increased to 75%. The consulting company leased another 2,800m2. The Austria real estate group sells an inner city palace in Vienna. The sale price reaches € 22m. The London-based real estate company made a € 450m offer to VIA. However, the demanded property is not for sale. Ernst Kirchmayr, CEO of the Upper-Austrian shopping center has raised his stake in the Zagreb-based shopping center “Westgate”. 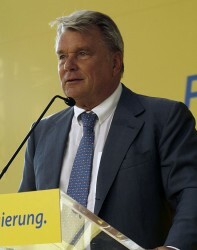 The former Minister of Finance, Karl-Heinz Grasser, faces a lawsuit by the Austrian real estate company. CA Immo claims € 200m. The Austrian real estate company continues to advance optimisation of sales activities. The distribution subsidiary Resag will be re-organized. 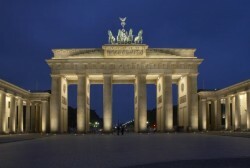 In 2012, the Austrian real estate company plans anInvestment volume of about € 300 m in Frankfurt and Berlin. The Austrian real estate group announces the end of the put period for premature redemption of the 2014 convertible bond. Rental premises in the tower were simultaneously handed over to PwC, the principal tenant. The total investment in Tower 185 stands at approximately € 450m. The Austrian real estate group enters an agreement with the German subsidiary of the Israeli Fattal International Hotel Chain. Real Invest Austria, a subsidiary of Bank Austria, has over € 1.7bn under management. Outlook for 2012: Further expansion of real estate assets planned. Rents were up by 2.7% in Vienna. Property prices rose by 2.2%. A further increase is expected. 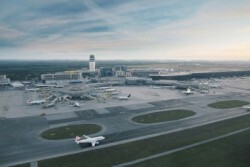 The Austrian real estate companies concluded the first phase of the office building and hotel project in direct vicinity of St. Petersburg’s Pulkovo 2 international airport. The Austrian real estate group going strong in the first half of 2011/12: Group result has more than doubled compared to the previous year. Net Profits are up by 145%. Investigations against the Austrian real estate investor will end soon, German newspapers report. 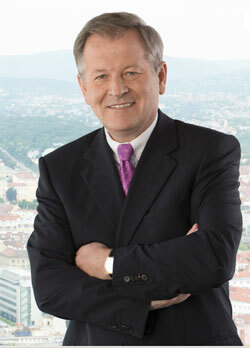 Benko bids for Metro´s subsidiary Kaufhof. Tomorrow, on Tuesday, the Austrian real estate company presents its results for the second quarter. EBIT should rise significantly.